What’s the latest cannabidiol cancer research? This article dives right into the most current studies and scientific research. Many antitumor drugs share the same properties, leading scientists to explore the potential applications of Cannabidiol in the prevention and treatment of cancer. This cannabidiol cancer research is still largely underway and the findings fresh, making this an exciting field of study for many doctors and pharmacologists. Since then, numerous recent studies have verified that cannabidiol exhibits some inhibitory effects on several types of cancer including breast cancer,colon cancer, certain types of brain tumors, leukemia and others. These results have been verified by dozens of scientific teams, although the exact inhibitory mechanisms are still unknown. Parallel to those studies, CBD has also been shown to inhibit benign tumor growth as well. Additionally, and perhaps even most surprisingly, CBD has been shown to directly enhance our body’s ability to battle cancer. More specifically, CBD has been shown to induce programmed cell death in breast cancer cells by coordinating the cross-talk between two of our body’s defense mechanisms against cancer, apoptosis and autophagy. 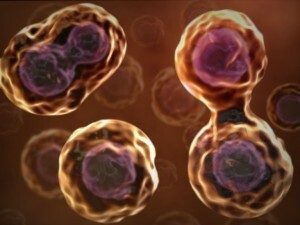 Apoptosis is the process of programmed cell death, while autophagy is the breakdown of individual cell components. Combined, these two processes weaken and destroy cancer cells. Finally, apart from its promising anti-tumor properties, Cannabidiol might also play another less direct role in the treatment of cancer patients. Several recent studies have shown that CBD seems to render certain cancerous cells more susceptible to chemotherapy agents. This, combined with CBD’s documented effects on pain relief, makes it a very promising drug for synergistic use alongside currently widespread chemotherapy treatments.